The purchase of a NEW HOME in central Florida is a great experience but one to be vigilante when working with Developers and their personal sales consultants or salesperson whichever they may call themselves. What you must remember that if you go on your own to purchase a new home that at all times the salesperson or home consultant will be representing the developer at all times and why you should be represented. We have represented buyer/s in the past who had placed contracts on a NEW HOMES that were smooth transitions. Some have been buyer/s that have had bad experiences in trying to buy a NEW HOME from a local Developer, including buyers that had a really bad experience with the contractual agreement they had with the Developer. These NEW HOME buyers came to us to represent them in their next NEW HOME purchase with a tale of what they went through that we would like to share with our readers. In the purchase of their NEW HOME our buyers who went directly to the Developers sales consultant were promised during the negations of the sale and purchase agreement that the NEW HOME would be on the time schedule they had agreed upon to have turned over to them. The NEW HOME was not ready for the completion date and there were certain features that were promised to be added to the NEW HOME were delayed or not the same material or color as promised which was not added to the contract agreement by the sales consultant who represents the Developer. They had to obtain the services of an attorney to get them out of the contract and retain their escrow deposit that the developer was trying to confiscate even though the sales consultant from the Developer should have sat with the buyers and read the contract and point out that they the Developer was not honoring the contract and failed to deliver. But once the buyers complained to the sales consultant who they thought was their representative and good buddy because he was so nice and hospitable turned his back and referred them to the Developers legal department and recommended that they obtain an attorney themselves. Then the sales distance himself and cut off all communications with the buyers. In all when you are buying a NEW HOME you have no representation. We have had experience when we have reviewed sales and purchase agreements with our buyers in purchasing a New Home Construction, Developers have typically disclosed that the Sales Consultants do not represent the buyer/s but the Developer and make it clear on their contracts while in many occasions, require that our buyer/s sign of or initial the disclosure stating so. Ask yourself why would they disclose this or have buyers sign off or initial this disclosure? See the example below of what to look for in their contracts. 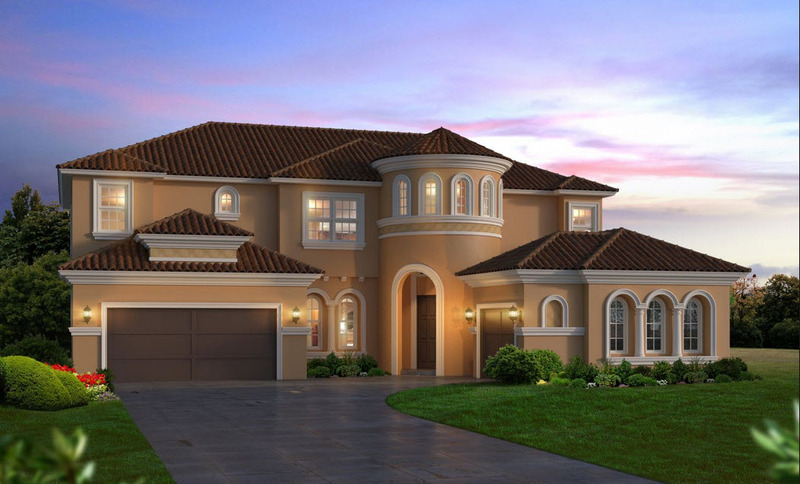 THE NEW HOME SALES CONSULTANT LICENSED IN THE STATE OF FLORIDA EXECUTING THIS SALE AND PURCHASE AGREEMENT BELOW REPRESENTS SELLER (DEVELOPER) EXCLUSIVELY IN CONNECTION TO THIS TRANSACTION AND DOES NOT REPRESENT OR PURPORT TO REPRESENT BUYER/S. Note that the contracts are written by the Developer/s legal department structured to be typically over 70 pages long and want you to sit down and review all the pages by the same individual who does not represent you the Sales Consultant. You are not buying a cell phone or plan you are buying an investment of a life time and an investment that you live plus enjoy with many emotional ties. So, you would do not want to go it alone when buying a NEW HOME. You will need a professional or professionals to represent you when you purchase a NEW HOME. You will need a REALTOR that ethically through the local Realtor Board membership has ethical requirements to represent you and your interest and not the Developer. Let’s review some of the Marketing, Teasers and Lure tactics used by the Developers. The Developers know very well that consumers especially NEW HOME buyers are visual and buy with emotions. They have a one product in their favor and we must agree that they have new homes and it’s hard to compare that to resale homes. We all want new and its very much understandable, but one should never steer away from buying new but do so smartly, compare plus be aware of who represent you. Note the $200,000.00 to $300,000.00 are already sold or longer in inventory. The NEW HOMES besides being new are professionally staged to capture your emotions, desires, needs and most of all your eyes (Visual). Note that what you see is not what you get. Once you sit down with the Developers Sales Consultant they will start of the NEW HOME at the actual lower end for example at $300,000.00 because the $200,000.00 are no longer available or in inventory. You fell in love with the Model (VISUAL TEASE) but you are being sold a bare standard home. That’s when the upgrades are tagged in at a price and you up another price range on the NEW HOME which could be another $50,000.00. So, you have bumped up the price of the NEW HOME to get all those features that you saw or wanted and your sitting their feeling great that you are building your own home the way you wanted her comes the next feature of buying a new home which is key in real estate. Location, Location, Location… That is when the Developers Sales Consultant offers you a review of the sight map with open lot that shows those lots that are already reserved. You are then asked by the friendly Developers Sale Consultant. “Were Would You Like To Have Your Built”? Note that the Developers are very aware that land is of value and have already down their land sight analysis and selected those lot sights to be sold at a set price and those lots that are in layman terms known as bigger, longer, larger having special features like waterfront or conservations. The keyword is premium lots. That will kick your home up another price hike much higher than the features you fell in love with in the model home. Take note the model homes are ever seldom built on those Premiums lots. Premium lots can go for another $100,000.00 to $200,000.00to the price tag of the NEW HOME that you saw as a model home. You came in looking at NEW HOMES at a price a lower price range as advertised but know you are buying a home at the advertised high end. You do have a NEW HOME that will be built to your desires and specification and you have selected the prime location if you can afford the kick up in price then you are followed up with a Sale and Purchase agreement presented by the Developers Sales Consultant. But let’s say like many feel that you are above budget or do not feel good about the lack of transparency in the presentation of the home, you offered buying incentives. Although some Developers offer upfront incentives in advertisement or upon the entry to the Development site many do not. These incentives come in paying for closing cost. A set amount for example $10,000.00towards closing cost. They can offer a pool or an extra feature typically on the exterior of your NEW HOME. Note that in NEW DEVELOPMENT when there are incentive they are made to make you feel good that you got a great deal or you are getting something back from the Developer because he wants to earn his trust after he kicked up the price of the NEW HOME from the advertised teaser price. But is it there an INCINTIVE/S? Well here is the kicker with their incentives. To get their incentives you have to use their full-service package. This means you must use their Affiliated mortgage company and their selected or Affiliated Title company.Then there is a Developer / Builder fee placed into the Developer Sale and Purchase Agreement that the Developer Sales Consultant makes sure is added to the contract. This could be a 1 to 3% charge of the purchase price of your NEW HOME. Since you use the Developers mortgage company to receive the incentives and their Title company the closing fees are up charged like a higher interest rate on the mortgage. Then there is the Developer fee you must pay at the day of closing. So, is there much of an incentive well maybe a couple of thousand? The Developer Sale Consultant will typically work around a date and time that they will have the NEW HOME completed and a closing date. They will even offer a much sooner time frame that you will have your NEW HOME completed. They do this to ask for a typically higher down payment or escrow deposit to separate the lot for the home and have your commitment in good faith that you will close upon the completion of your NEW HOME. Note that in our experience the typical turnaround time for the NEW HOMES are not within the contract agreement and in many cases inside the Sale and Purchase Agreement our buyers have executed with the Developer it states that although there is a set time for a closing date it is not guaranteed. Be expecting that if the Developers Sales Consultant states a specific closing date or NEW HOME completion be expecting 1 month later from that date. This is a current fact especially with the large amount of NEW HOME construction and lack of county inspectors to certify all the new homes and slow delivery of material/s that is in large demand not just for the NEW HOMES but also the local THEME PARKS and increase of commercial development. Think about the amount of down payment also known as the Escrow Deposit you wish to put down. We recommend the least amount you can put down. In most cases your escrow deposit will go into the Developers selected escrow account and they are more in control of your deposit. We want to point out that on the day of closing the Developers Sale Consultant will not be with you at the day of closing and it is typical since you are not being represented! We will Exclusively Represent You, as a NEW HOME BUYER! We will be by your side to represent your best interest in the purchase transaction and be your side from contract to closing. We will provide you with local research on current real estate market conditions, builder pricing and comparable housing options to ensure that you are receiving a competitive deal from the builder. We will personally read through the entire purchase contract for you, which can be lengthy with many special addendums. We will point out any important notes and answer any questions you might have about the Developers Sale and Purchase Agreement. We will educate you and walk you through the entire process, including signing the Sale and Purchase Agreement, providing down payments, selecting options and upgrades, paperwork, proving financing options. Throughout the process, we will also stay in constant contact with the builder sales person keeping this stress out of your life. We will also be with you at the day of closing. Remember the Developers Sales Consultant does not represent you and will not show up at the day of closing and it is typical but we will not leave you along throughout the transaction including the day of closing. While the Developer Sales Consultants can only sell that specific builders site no other we can Represent You with all the other Developments and even compare price, features and incentives plus place you more competitive with each Developer to get you a better deal. We have relationships with all builders in Central Florida and can represent you in a transaction with any of them. We are also on their contact list and receive updated NEW HOME inventory of NEW HOMES that have contracts that fell through on their Sale and Purchase Contract giving you a great opportunity to get into a built NEW HOME at a great discounted market price. If you have not completely ruled out the idea of buying a resale home, we can be looking for resale options at the same time we are visiting NEW HOME developments. In the event, you decide that a NEW HOME is not for you, we can immediately begin an aggressive search to find you a resale home that suits your needs which will not be any cost to you as our buyer/s. The Developers Sales Consultant will try to get you incentives that will force you to use their lenders and title companies. We can consult you and revise the cost or the good faith closing statements to see if the Developers mortgage and title affiliated companies is best for you. We can assist in seeking your own competitive lenders and title companies that will give you the best deal as well compare cost and good faith estimates.